Does He Still Have Until Christmas? Things are looking decidedly bleak at fortress Portman Road. Joint bottom of the table and still without a single victory, means the gloom merchants have returned! It did not take too long did it and listening to them pour out their souls on Radio Suffolk’s Final Whistle show made me realise just how fickle us football fans are. Now I know that not everything is the garden is rosy just now. On the contrary, there is serious cause for concern but calling for the manager’s head after less than ten league games is tantamount to football suicide! I suspect that many of those callers were the same people who wanted McCarthy out so desperately – although I doubt that they would be all honest enough to admit it. Yet, if owner Marcus Evans was to listen to the harbingers of doom and gloom and follow their advice and get rid, then who on earth would replace him? The first signal it would send to any manager of substance is that the owner is trigger happy and that alone would dissuade I believe the more experienced managers from applying for the post. Oh but I forgot! The folks that wanted McCarthy out were not looking for someone with vast experience. They were of the view that someone who was young and ambitious should be appointed! So then, we got what we all more or less wanted. A young ambitious manager with an excellent tracks record, who cut his teeth in non-league football, only to rise with ever-increasing rapidity up the football league ladder and has never been sacked in the process! To be honest, I knew very little of Paul Hurst before he took the post but on closer inspection of his curriculum vitae, it is easy to see why he was Marcus Evan’s number one choice. He knew how to work on a tight budget and was happy to accommodate his five-point plan. He also met with supporters desires and was determined to dispose of the dead wood. Sadly, however, Martyn Waghorn, Adam Webster, David McGoldrick and perhaps to a lesser extent Joe Garner, were anything but dead! That said, with the possible exception of Webster, they all wanted to leave and we cannot blame the manager for this alone. As an Ipswich Town supporter for more than fifty years, I still believe that patience really is a virtue – even in the modern game, and I have it on good authority that his position is safe until Christmas at least so there is no need to press the panic button just yet. And before we dwell too long on the negatives we should at least give credit where credit is due. We have played five home games and remain undefeated and against Bolton, we kept our first clean sheet of the season and have moved off the bottom of the table in the process. We must not forget too that there have been mitigating circumstances for some of the points dropped. We have had two players sent off unjustifiably and on other occasions, we have not had the rub of the green. Yes, results have been hugely disappointing and the longer our winless run goes on, the more it will sap players confidence. 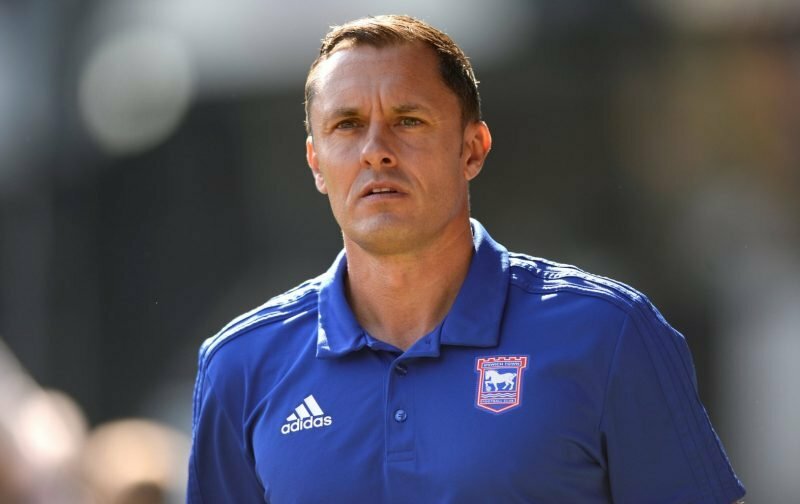 Paul Hurst has said that he does not believe his players need a rocket but by the same token he is a great believer in not looking for excuses and only a win – or some inspirational individual performance will help the squad turn the corner. I am not convinced with the argument that Town lacks the quality it needs to succeed – or that the squad we had last season was more technically gifted. Time will tell but I saw enough at the start of this campaign to suggest that we do have a number of gifted players but when confidence is as low as it is right now, it is not always quite so apparent. Ipswich fans must keep the faith. Paul Hurst IS the right man for the job in my view and remember, Rome was not built in a day and nor was Ipswich Town football club. Even the great Sir Bobby Robson had a tough time of it in his first few seasons finishing 18th and 19th out of just 22 clubs before he slowly but surely got his squad into shape. In the modern era, of course, there is no way Paul Hurst will be given this amount of time to get things right but come on folks nine games! Give me a break. I cannot agree more. I still remember Bobby Robson’s first couple of seasons and look at what he achieved. I said before Paul Jewel and then Mick Macarthy were appointed that we neeed young blood. Now we have it lets keep it and give him a chance. Although I don’t want it I would accept relegation if it were to ensure a stronger club and team. Remember the big teams that were relegated before they got stronger I.e. Man. City and Utd for example. Stick with Hurst, that’s my call. Thank you for your comments Malcolm and like you, having supported Town for half a century and more, I am still convinced that if we are ever going to revisit the success factory then we must have continuity.